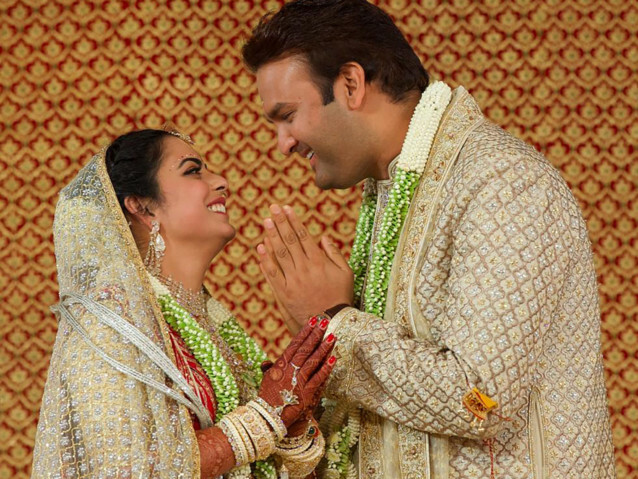 In a season of big Indian weddings, the December 12 marriage of the scions of two billionaire families might be the biggest of them all. 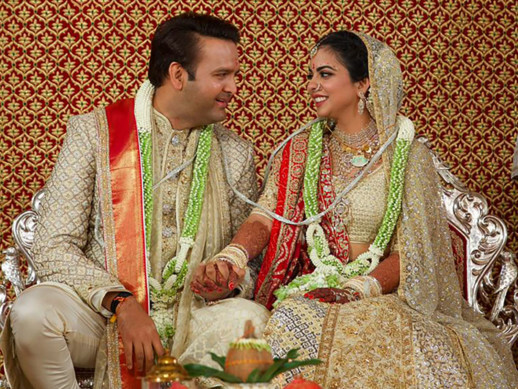 The bride, Isha Ambani, is the Ivy League-educated daughter of industrialist Mukesh Ambani, thought to be India’s richest man. Forbes estimates his net worth at over $43 billion (Dh157.91 billion). The wedding was held in Mumbai but festivities began weeks ago, starting in September with an engagement party at a lakeside Italian palace. The Mumbai event saw film and sports icons, business tycoons, political heavyweights, celebrities and a host of others attend, in what is best described as India’s very own royal wedding. 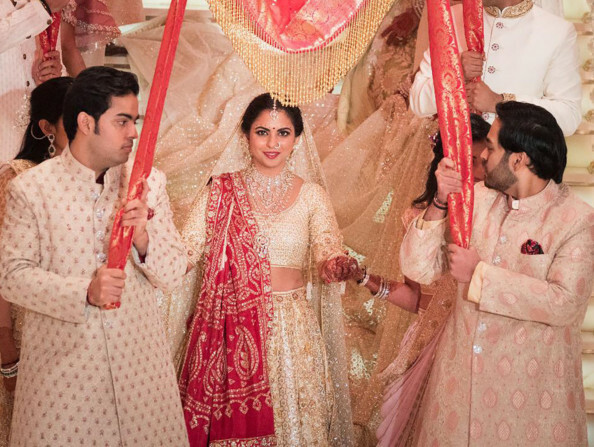 Indian grooms traditionally ride to their weddings on horses, but Piramal arrived at the Ambani home in a classic Rolls-Royce, with marching bands playing in the procession and scowling bodyguards scattered through the crowds. Later in the evening, the grand wedding saw the parents — industrialist Mukesh Ambani and his wife Nita, tycoons Ajay Piramal and his wife Swati — and others welcoming the high-profile celebrity guests. 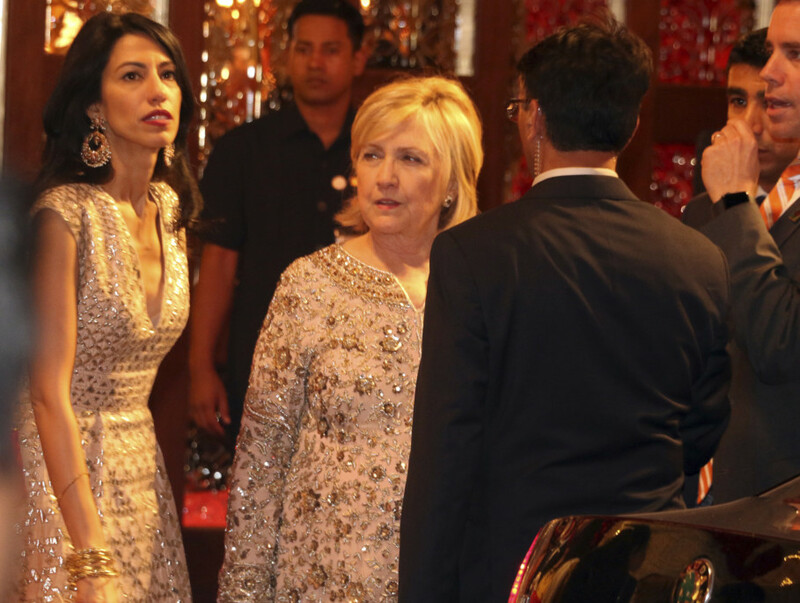 Former Indian President Pranab Mukherjee was received by business magnate Anil Ambani, the bride’s uncle, while other top celebs like former US Secretary of State Hillary Clinton and Praful Patel also made their presence felt. Prominent invitees included Bollywood actors like Rajinikanth, Amitabh and Jaya Bachchan, Abhishek Bachchan and Aishwarya Rai Bachchan, Aamir Khan and Kiran Rao, Shah Rukh Khan and Gauri Khan, Salman Khan, Katrina Kaif, Priyanka Chopra and her husband Nick Jonas, Deepika Padukone and Ranveer Singh, Hritik Roshan, Shilpa Shetty and Vidhu Vinod Chopra.